AI is already proving a useful tool for creatives, but will it end up taking their jobs? Emily Tan steps into adland's automated future. Artificial intelligence algorithms can now replace social media marketing agencies, paint a "new Rembrandt," project the image of a perfect mother, compose commercially viable music and even direct ads, trailers and short films. Just how worried should creatives be? According to Matt Webb, global chief technology officer at Mirum, an AI algorithm is theoretically capable of mining data from a brand and a brief and combining it with information gathered to solve problems. In that sense, AI could conceivably answer a creative brief, he concludes. The reasoning and processes used to teach AI to compose music turn out to be remarkably similar. Patrick Stobbs, co-founder and chief operating officer of AI music composer Jukedeck, doesn’t seem to believe in the divinity of creativity. Stobbs, a classically trained musician with a music degree from Cambridge, says: "Creativity comes down to immersing yourself in a field, assimilating the information of that world and recombining it in different ways." Musicians everywhere, he adds, learn by gaining a deep understanding of their field, breaking down patterns, analysing the effects of what they do, and perfecting and recombining to achieve an intended effect. "That’s how we taught the AI music," Stobbs explains. "It analyzed large data sets of music, looked for patterns, infers the rules of composition and creates a set of probabilities and rules—such as, 70 percent of the time, a piece of folk music starts on a tonic cord and, 80 percent of the time, it ends on a perfect cadence. It then composes, but does not copy, based on these rules." And it’s improving and learning all the time. Jukedeck’s compositions from 2014 were received with derision but, by 2015, they were responded to favorably and, by 2016, indistinguishable from that of a human being. Jukedeck is capable of producing unique compositions in seconds, tailored to the mood, taste or genre selected by the user. They largely grace YouTube videos but have started being used by brands such as Sotheby’s and Coca-Cola (in Mexico). The startup has recently signed a deal with a major advertising network. But there’s no need for creatives to panic. Not for the next 30 or 40 years, anyway, according to Stuart Waplington. He is chief executive of Happy Finish, a creative tech and content studio with its own "creative AI" division. "At this point, AI algorithms are still not capable of solving unbounded problems. They cannot, for example, sit down with blank paper and produce copy for you. However, within certain parameters, an AI can solve problems better than a human being," he says. And it would be a mistake to think that the ideas and work coming from AI are purely sterile and derivative. "It’s not creative in a human sense, but it has its own otherworldly style," Waplington says. 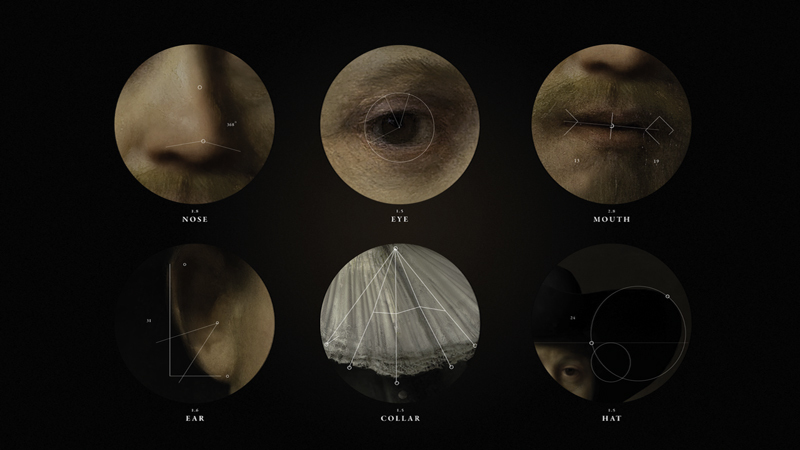 Still, creating "The Next Rembrandt" with the aid of AI for ING proved to Bas Korsten, creative partner at J. Walter Thompson Amsterdam, that the human ability to think critically is still very much needed. "I’m not worried about losing my job any time soon," he says. The team at Happy Finish view their AI creations as collaborators. Assistants that make the impossible possible and improve the creative process. "We use AI as a basis for personalizing a campaign, for example, or we use it as a production tool or creative assistant," Waplington says. "The best work from AI comes from when it is used collaboratively." Without AI, campaigns such as Dove’s "Perfect mom" (see bottom box) or "The Next Rembrandt" wouldn’t have been possible. Perhaps a skilled impersonator of the great Dutch masters could have created "the next Rembrandt" based on experience, but the painting wouldn’t have held the same allure because it would have been created by a person who is not Rembrandt. 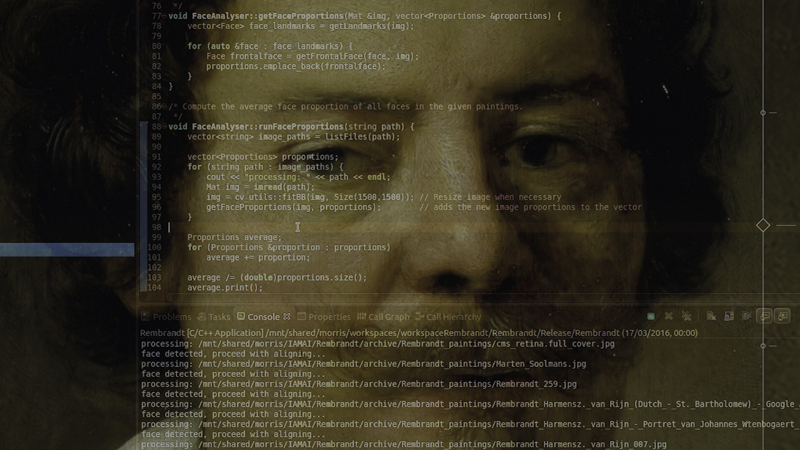 AI is a tool and, by studying and assimilating Rembrandt’s work, it has, in a sense, taken in and recombined the soul of the artist. 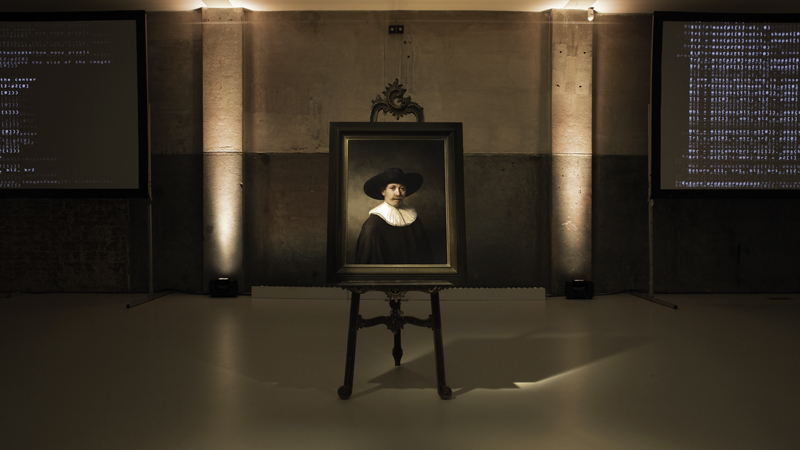 Korsten says: "All 80 billion pixels in the painting were Rembrandt pixels. All, at one time or another, painted by Rembrandt. We didn’t truly create something new—we recombined. We tried to get into his skin and his hands and create something he could have created." Even McCann World-group Japan’s "AI creative director" could not function without human beings. "It cannot direct everything from idea generation to editing," Shun Matsuzaka, the creative planner behind AI-CD, admits. "It can only give the big creative direction at the very beginning based on the client’s creative brief." To translate the creative brief, clients were asked to fill in a specific form designed for the algorithm. A human creative team would then manage the production process based on the big idea provided by AI-CD. While Korsten can’t envisage an AI creative, he can potentially see one as a creative director. "You could feed the machine everything and it could judge on effectiveness," he says. "As a judging mechanic, I would be interested to see it in action." Already, when it comes to online marketing, AI algorithms such as Albert by Adgorithms are capable of rapidly testing different creative combinations and optimising for effectiveness. Courtney Connell, marketing director at Cosabella, an online lingerie company that has replaced its social marketing agency with Albert, says that the technology has completely changed her team’s creative process. She explains: "Instead of giving the AI a set creative focus, we provide different elements. Albert then tests different copy with different photos and spends the first couple of weeks optimising. Once he’s optimized your campaigns, he’ll start to make his own." The hardest thing to grasp, Connell says, is that Albert doesn’t view people the way people do: "Humans are far more unsubtle." Take, for example, the backlash in China over targeted ads by BMW on WeChat two years ago. Some consumers were outraged at being judged "too poor" to view ads by BMW when the social platform rolled out the ads. "I would say that humans contaminated the algorithm," Connell comments. "Humans created those parameters and think they [made] the right decision." Albert, she continues, doesn’t base his targeting on anything so crude as demographics or income but "micro-reactions he notices about a person," Connell says. "How they interact, what they are clicking on, what they engage with." "It’s possible that machines can read human emotions better than humans," Alastair Green, executive creative director at Publicis agency Team One, observes. His team set out to create a film for the Saatchi & Saatchi New Directors’ Showcase that was shot entirely by AI. The film, "Eclipse," was screened at Cannes last year alongside 19 others directed by humans. Green says: "Us humans sat back and let the machines do the casting. We had all internalized our favorite picks based on how we felt and the chemistry of the actors. 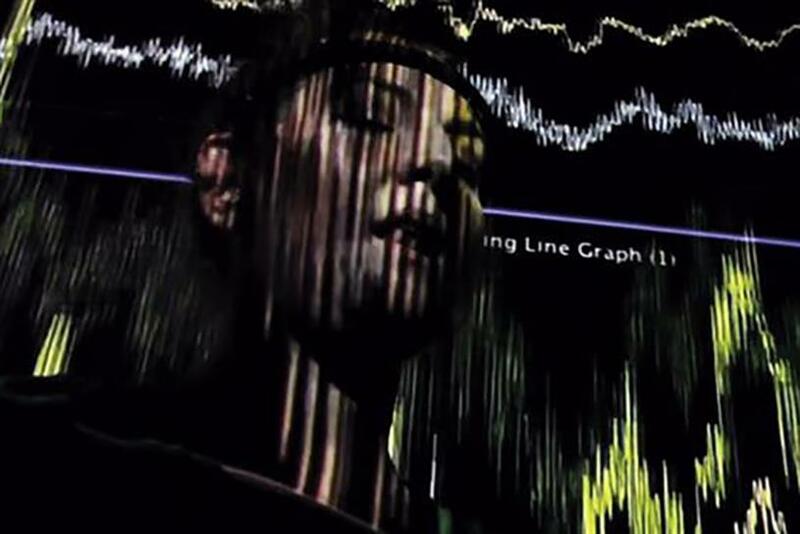 By using emotional data and motion, the machines selected the same actors we did. It was really surprising." Connell says that it took a mindset shift for her and her team to grasp how sophisticated AI could be at reading humans: "I started out thinking of Albert as a great tool to deliver my ideas, but that may not be the best thing. We [humans] generalize too much." This is marketing’s holy grail, Waplington comments: "To communicate one-to-one with every consumer, speaking to that consumer’s personality. AI gives us that ability." However, this approach unnerves Korsten: "I wouldn’t want a creative to think that they just get to focus on the big idea and let a computer fit in everything else. That would be a shame." But he acknowledges that creative teams are going to struggle with large-scale one-to-one communications. "How do we make sure creativity is used at scale with relevant messages specifically packaged in a way that consumers want to interact with?" he asks. "I can see how AI would help but I would worry that it would be formulaic." While AI may evolve to replace jobs, it will also create new ones. For one thing, each bot needs to be trained to handle new tasks. Matsuzaka and his team had to break down and analyse more than 1,000 award-winning Japanese TV commercials from the past decade. They then tagged the ads and an algorithm was created as a result. For "The Next Rembrandt," Korsten reflects that human involvement was essential every step of the way. He says: "Until an AI comes up with an AI system that is smarter than itself, I’m not too concerned. But when it does, then its development will become exponential. At which point, I agree with Stephen Hawking that doomsday isn’t far off." Stobbs is less pessimistic about life with machines: "We see AI as an enabler that allows humans to do more things—things that would not normally be practical—more quickly and cost-effectively, such as personalising music in real time." It’s worth pointing out, he continues, that Jukedeck comprises a team of 20 musicians who don’t see live music vanishing. "People enjoy being creative for the sheer pleasure of it," Stobbs says. "Just because an AI can write a canon piece, it doesn’t mean I won’t myself go home and write a canon piece. It’s so enjoyable." Ultimately, he concludes, AI will give humans more time to have fun. To launch its new baby-care line, and to prove a point, Dove worked with Happy Finish and PR agency MHP Communications to crystallise the media’s unrealistic portrayal of mums into one creepy image. Meet "Aimee," the result of AI technology scanning more than 1,800 images of motherhood from newspapers, magazines and social media. Using a technique called "generative adversarial networks", the system uses two AI algorithms to create a photo-realistic image. One would produce an image and the other would determine if it was realistic enough. The two pinging off each other would rapidly improve the result until a commercially viable image was produced. "The only problem is no image larger than 200 pixels had ever been created. And this one needed to be at least a megapixel in size and extremely photo-realistic," Marco Marchesi, head of tech at Happy Finish, explains. It took five weeks of perfecting the AI and five days of letting the system work to produce Aimee. With glossy hair, a manicure and perfectly lined eyes, Dove and its agencies were fully aware that Aimee would spark controversy. And she did. Peering down from billboards with the question "Is there a perfect mum?" alongside the hashtag #realmums, Aimee drove London’s mums into an outraged frenzy on Twitter. "That isn’t what a #realmum looks like," @mummy_setra wrote. "What kind of example are you setting with images like this? You don’t have to look like a supermodel to be a good parent," @sushirollphan added. But that was the point, Dove said in a statement. The idea was to get mums talking about how seeing such an image made them feel and what they thought about the idea. A day after posing the question, Dove revealed all, explaining that typical media images don’t reflect the reality of motherhood. As the statement said: "You don’t have to strive to live the way mums are often portrayed in the media to be doing a great job."